Lack Of Sleep Effects: Are You Getting Dumber? Some people have a love-hate relationship with sleep. It just does not make any sense how some people can loathe sleeping when it offers us a temporary reprieve from all of our worries in life. Aside from that, we feel better upon arising because our body had a chance to rest and recuperate in our slumber. Sleep has a lot of benefits and it’s pretty obvious why we need it in our lives even if we aren’t always thrilled that our body demands it so much from us. However, the world is now filled with tech distractions that take our time away from what few hours we have left for sleep. During the day, our schedule is often jam-packed from sunrise to sunset as we try to survive the daily commute, daily grind, and everything else everybody expects from us throughout the day. More often than not, we sacrifice sleep to increase our productiveness. We extend our day all through the wee hours of the morning as we try to catch up on deadlines. What we fail to realize is that we do our body more harm by skipping sleep than what we like to believe. A chronic lack of sleep not only impairs cognitive abilities but also increases the risk of heart disease and diabetes. Current research discussed at the Congress of the European Academy of Neurology in Amsterdam show that not only the amount of sleep is important but also whether it is done at the right time. “Too little sleep reduces our cognitive abilities and has a negative impact on physical health. Unfortunately, this crucial topic is still all too often undervalued in the health care sector,” warned Prof Pierre Maquet, head of the Neurology Department at Liège University in Belgium at the 3rd Congress of the European Academy of Neurology (EAN) in Amsterdam. Sleep deprivation can leave you like a literal walking zombie. You may be awake but your mind is drifting somewhere else because it is simply exhausted. Your body has a natural sleep drive that will signal your brain it needs sleep but if you keep on ignoring it, it may start to malfunction. Don’t forget that new memory and learning pathways are formed during sleep. You need to sleep adequately for these pathways to even form. Moreover, memories are only formed once your brain encodes it. But the brain can only encode a certain memory if you paid attention to it when you did it. You’ll have a hard time remembering anything that happened during the day if you weren’t able to consolidate all these information at night during your sleep. Perhaps you won’t realize how you’re slowly becoming unhappy since not lack of sleep also inhibits your basic brain functions. Such important daily activities as problem solving skills, creative thought, and stress management become crippled with seven or less hours of sleep. According to a University of Rochester study, when you’re asleep, your brain works to remove toxic proteins from itself. However, it is unable to do this while you’re awake, and the greater the buildup of these toxic proteins, the worse it is for your mind. Not all sleepless nights happen by choice. Issues like anxiety, an overabundance of school work or insomnia are just a few major contributing factors to not being able to sleep. However, these are generally not choices people make to be part of their lives. 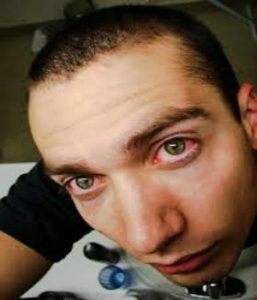 Next time you’re hanging out with friends and one of them gloats about their lack of sleep, understand what they’re advocating for – becoming a dumber, fatter cry baby of a person and putting reciprocal pressure on others to be this way as well, because, as the author John Ray once wrote – misery loves company. There is nothing worth glorifying when you boast about your chronic sleepless state. Your body sacrifices greatly if you keep up this lifestyle. Your health deteriorates and you perform poorly on various aspects of life especially on activities that require you to think and solve problems. If you are not intellectually-gifted yourself, try to save yourself from more misfortune or embarrassment by getting that needed shut-eye each night. Your body deserves to rest after a hard day’s work, so don’t deprive it of the chance to rest once night time falls. Tomorrow is another day and leave your work as it is. Other times, you lose sleep not of your own volition. Certain sleep disorders prevent you from enjoying a good night’s sleep. Take sleep apnea for example. The loud snoring sound isn’t just absolutely irritating but the breathing pauses in your sleep are even scarier. 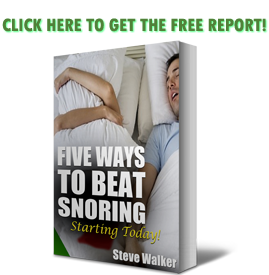 If you aren’t comfortable with CPAP and are looking for a more convenient solution to your snoring, https://snoringmouthpiecereview.org/snorerx may be an excellent choice for you. Another alternative can be https://snoringmouthpiecereview.org/good-morning-snore-solution. These mouthpieces are designed to correct certain anatomical problems to reduce the breathing pauses and the consequential snoring that follows.